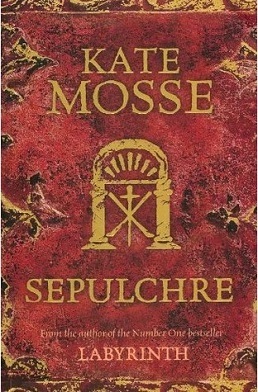 Sepulchre | On The Road with Ms. M.
Sepulchre, this second book of a trilogy by Kate Mosse is fascinating. While it takes place mostly in the same area as the first book, Labyrinth, the story line is so different and yet as compellingly complex as the first, that you are actually surprised when you realize that one of the characters is from the first book. While the first history is about religious strife and has an archaeology theme, the second is about political strife and has an engaging music theme. This time, the two main female characters, Léonie and Meredith, are related. Meredith (a young historian from the 21st century) has only a photo and a page of handwritten music to help her track down her family connections in the few days she has set aside from her research on Claude Debussy. Léonie, on the other hand, leads a seemingly idyllic life in Paris in the apartment above Claude Debussy. She is suddenly thrust into a world of violence and evil in Domaine de la Cade, outside Carcassonne. Brought up by a suicidal mother and an engaging but eccentric grandmother until adopted by a nurturing family, Meredith feels their support but is an ocean away as she faces mystery and danger at the spa, Domaine de la Cade. She meets a number of people who give her mixed emotions on top of her already confused state of mind. She must take a chance and trust someone. Does she make the right choice? Will dark forces interfere with her quest to find her heritage? Will the violent past of the Domain keep her from resolving her own issues? As always, Ms. Mosse adds a tour of the setting at the back of the book which helps you visualize the setting and makes you want to see it for yourself and walk where her characters lived. You won’t be able to put this book down so be sure to take it with you on the road!